All Inclusive Contracting is the premier painting contractor across the Valley of the Sun. 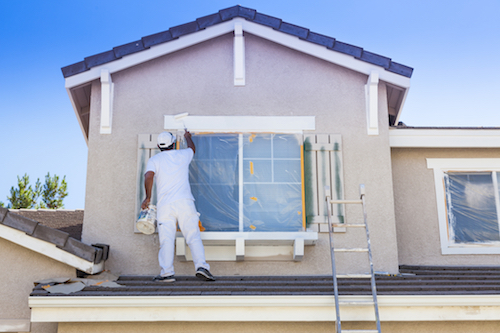 With over 20 years in the painting industry, in both residential and commercial painting, we’ve built our business based upon experience, quality craftsmanship, attention to detail and a strong work ethic. Simply put, our goal is 100% customer satisfaction. We take that commitment to all of our clients very seriously. We provide extensive training for each of our professional painters. All Inclusive Contracting is fully licensed, and insured for your protection. We can accommodate your large or small jobs, inside or out. All Inclusive Contracting will strive to complete your job as quickly as possible. We will communicate with you and keep you up-to-date on your job timeline. With that said, if quality, value and peace of mind are important to you, then call All Inclusive Contracting for your FREE consultation at 602.550.0499. Hire the professionals at All Inclusive Contracting today!